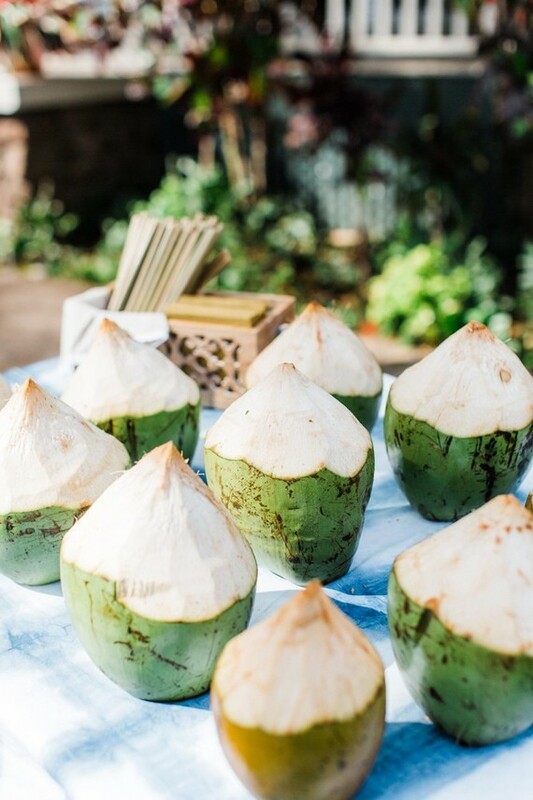 A coconut bar, what else? 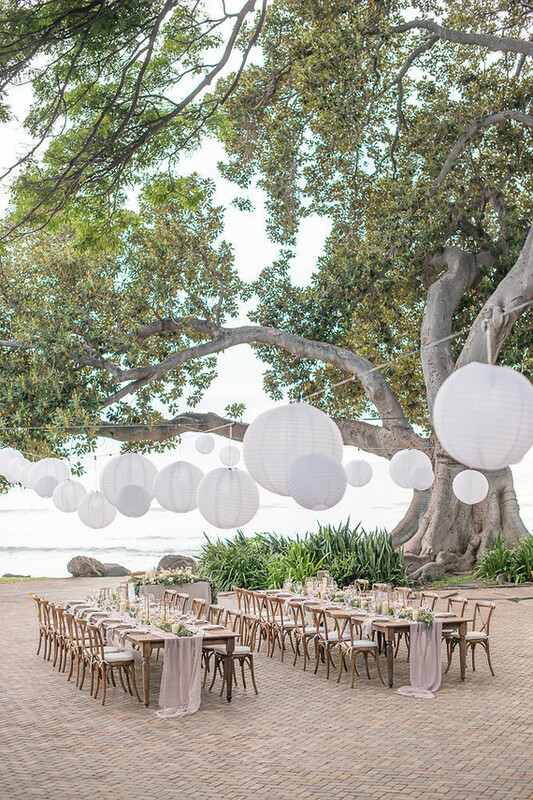 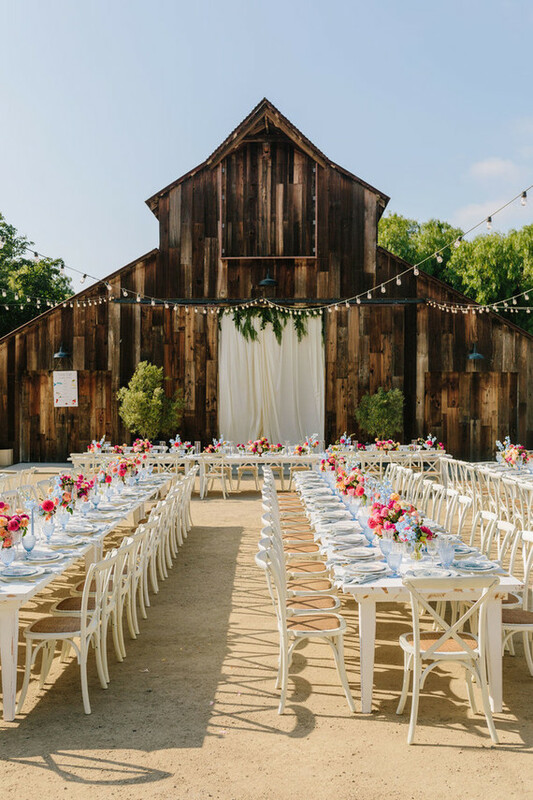 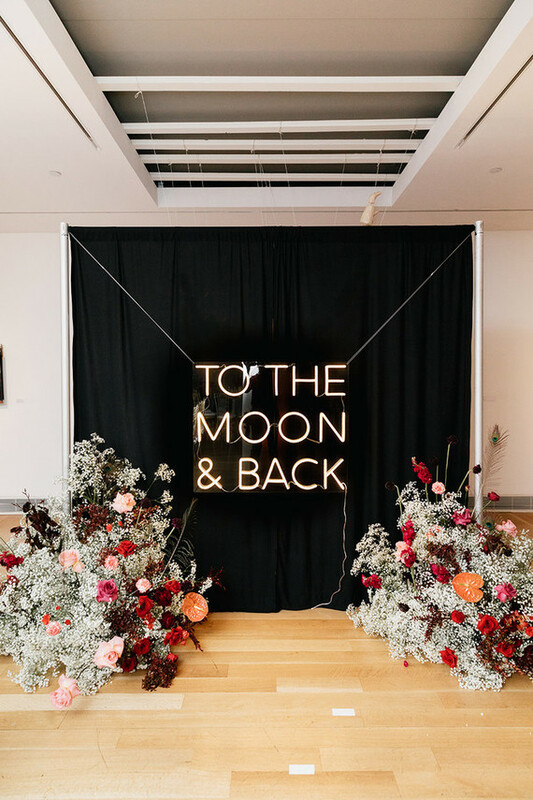 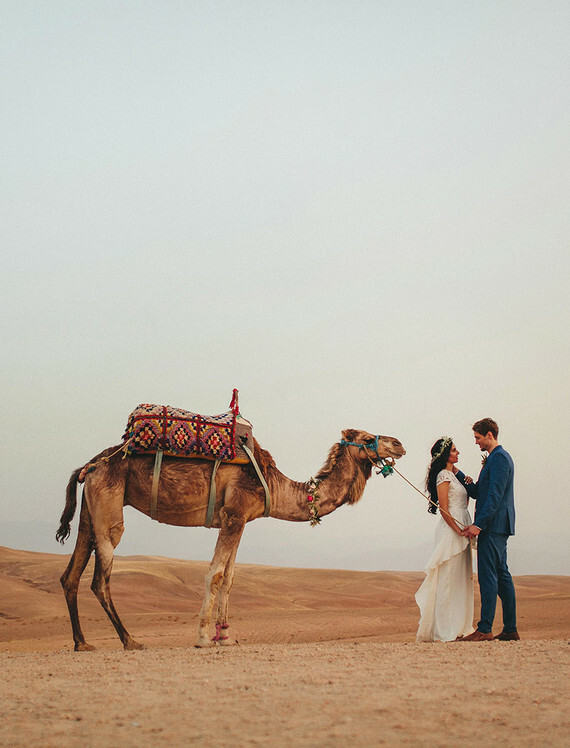 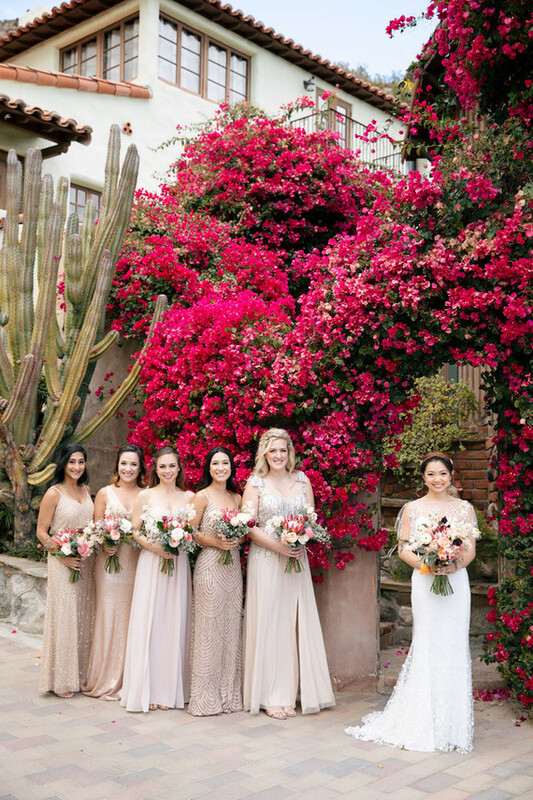 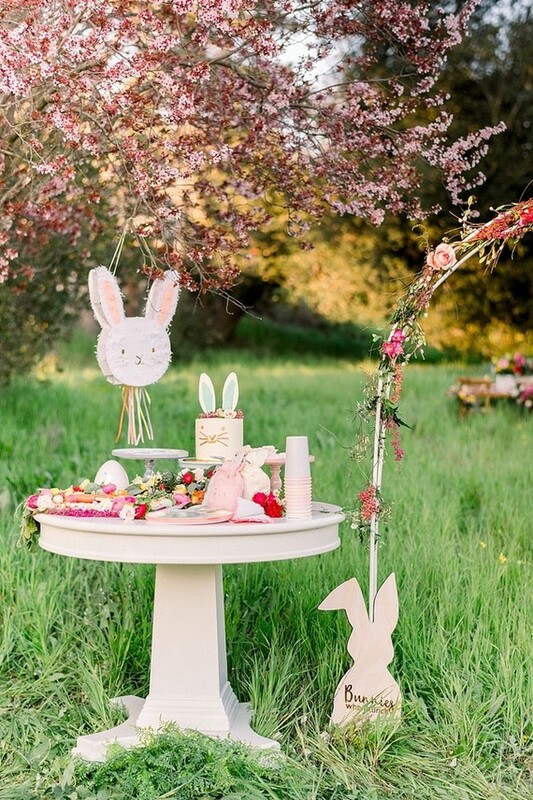 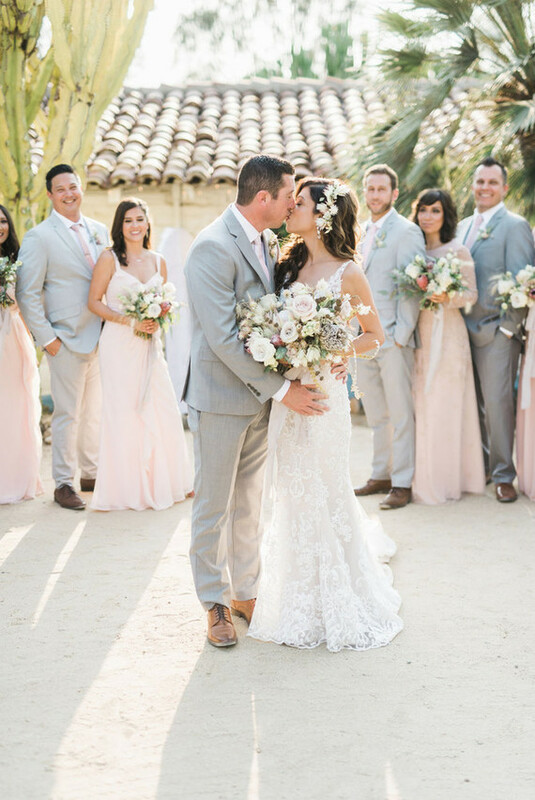 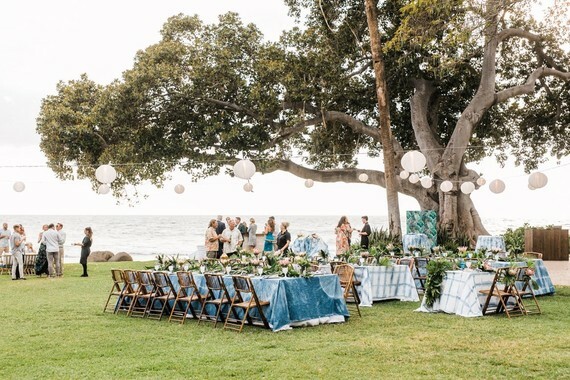 Lena of Belle Destination Weddings & Events tells us, The couple really wanted a laidback setting where their 40 guests could feel like they were at backyard party. 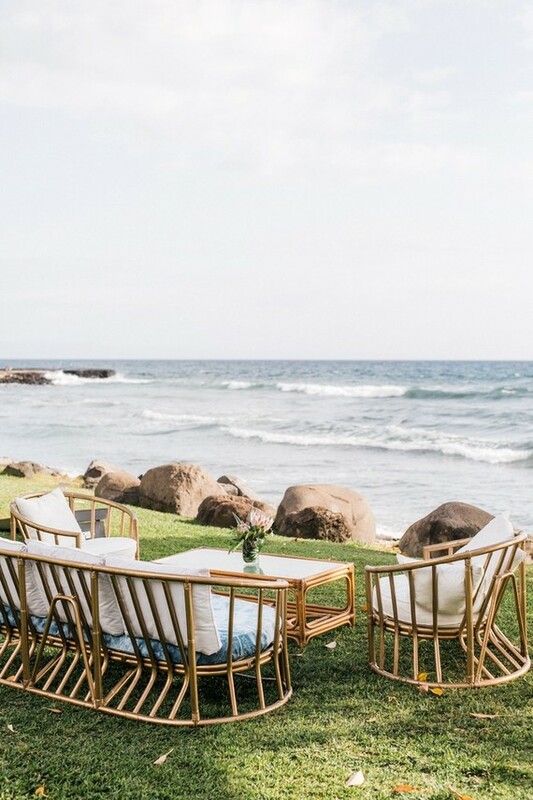 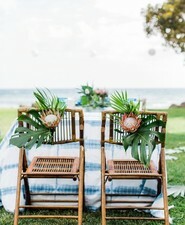 They had lawn games for guests to enjoy during the cocktail hour and bamboo rattan furniture for them to lounge and enjoy the ocean views. 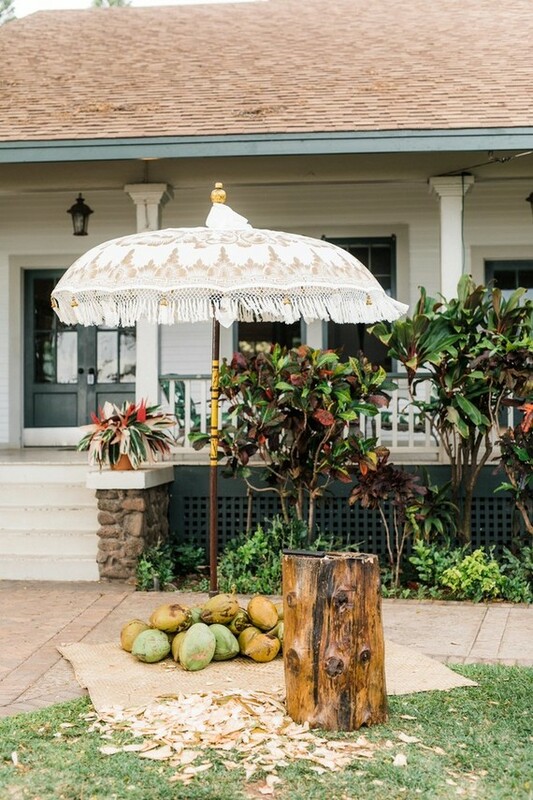 Freshly-chilled coconuts were shucked upon order by The Catered Coconut for guests to enjoy, which was perfect for a warm Maui day. 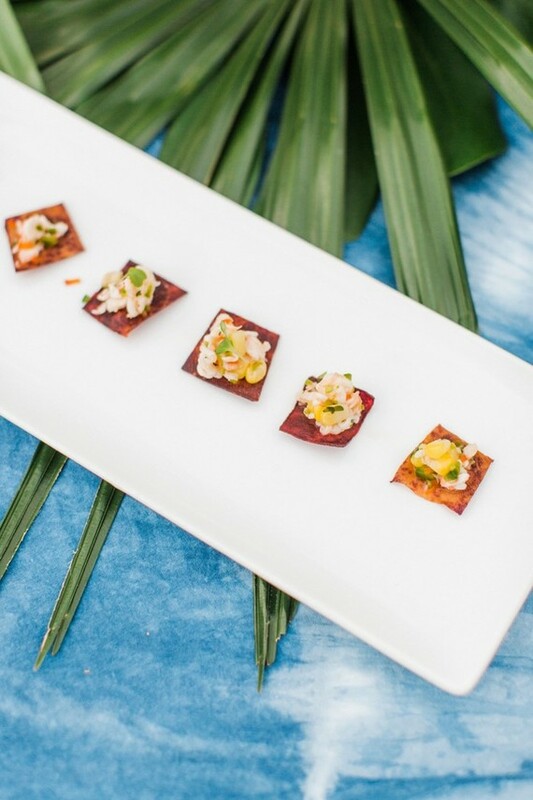 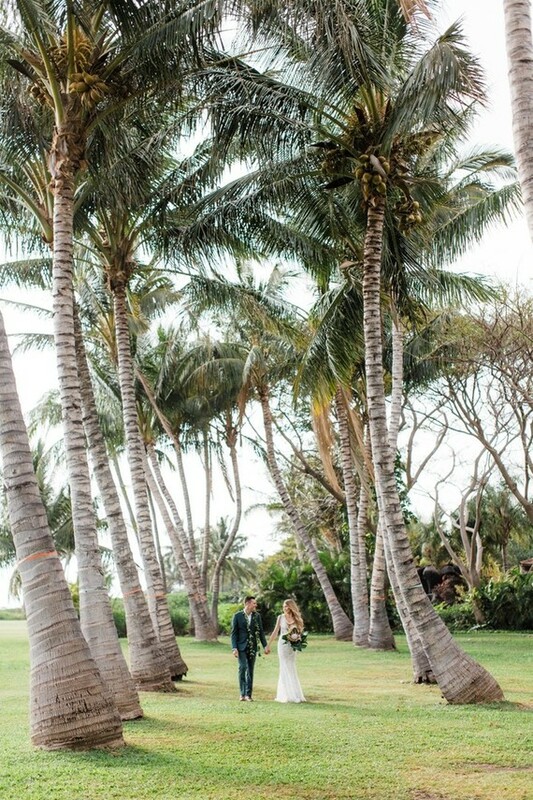 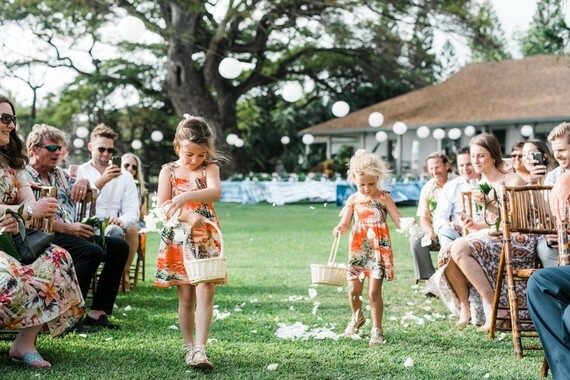 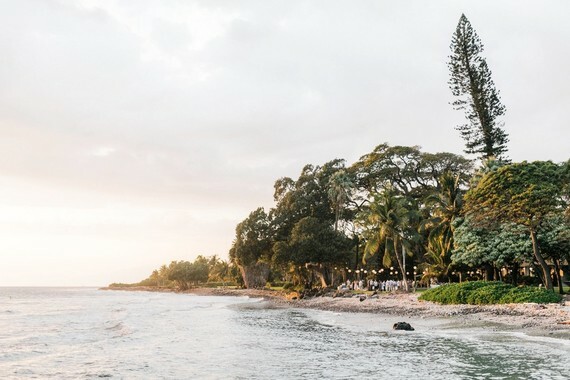 The historical Olowalu Plantation House was the perfect backdrop for this wedding. 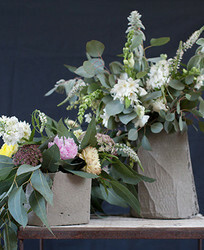 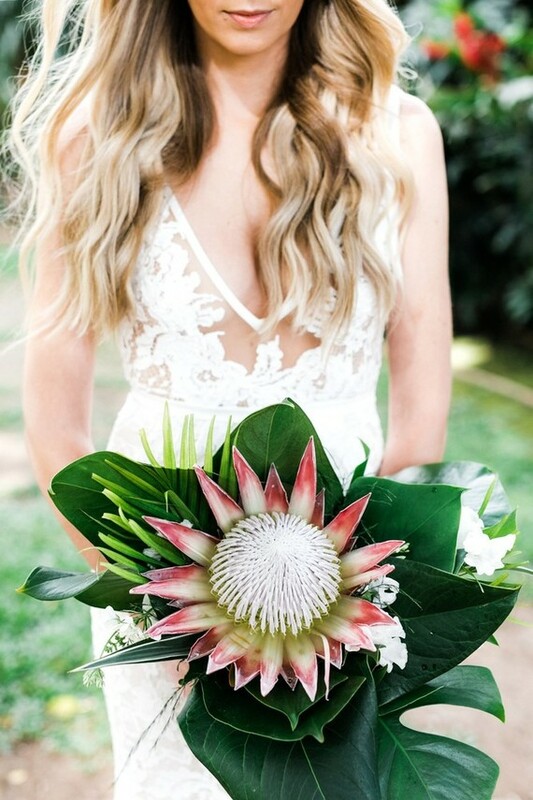 Recipe for the perfect tropical wedding bouquet: king protea + local foraged greenery. 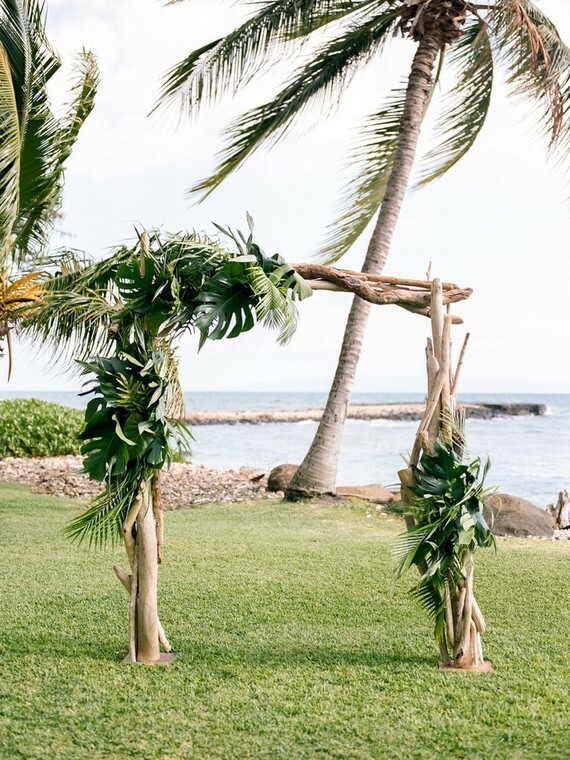 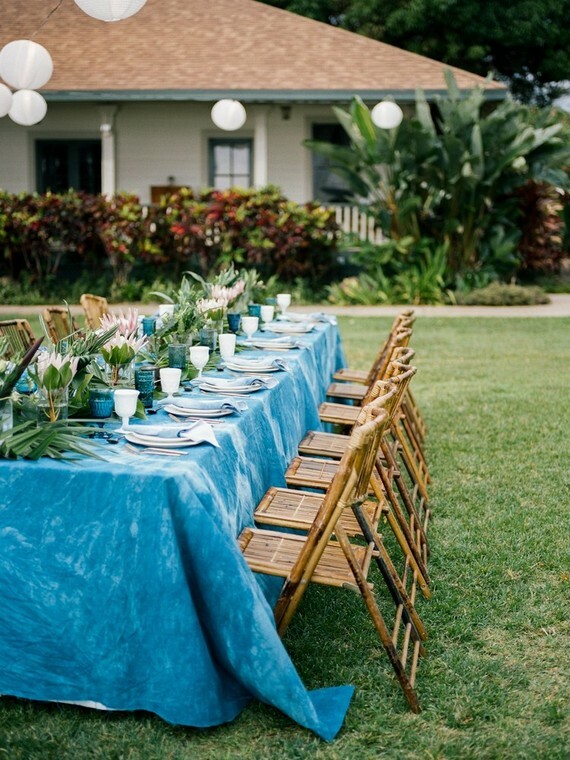 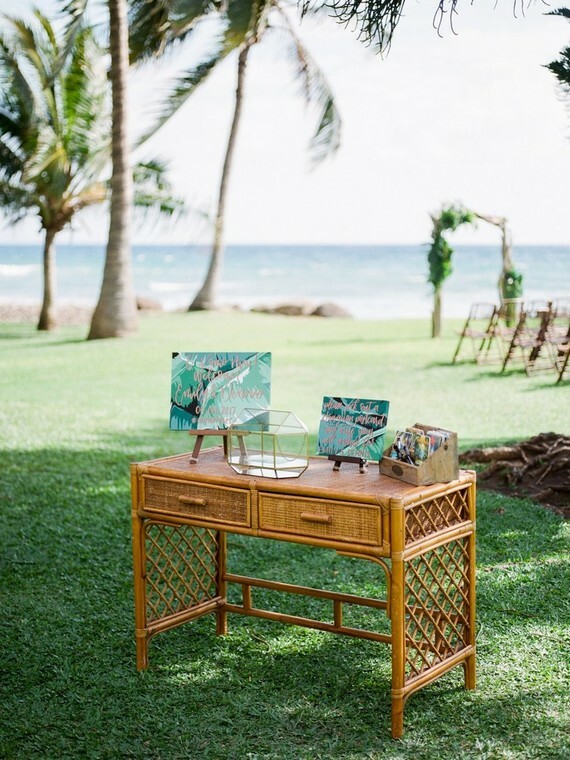 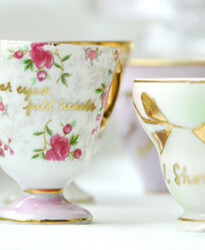 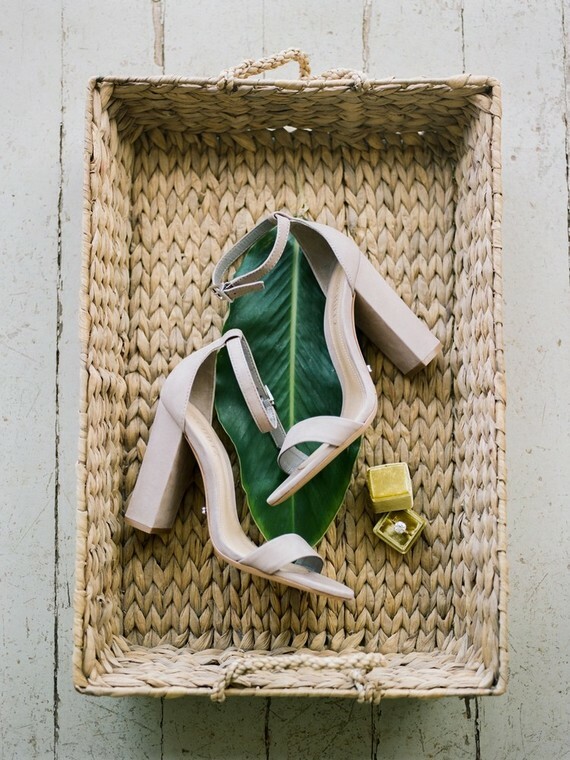 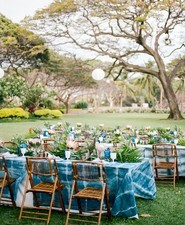 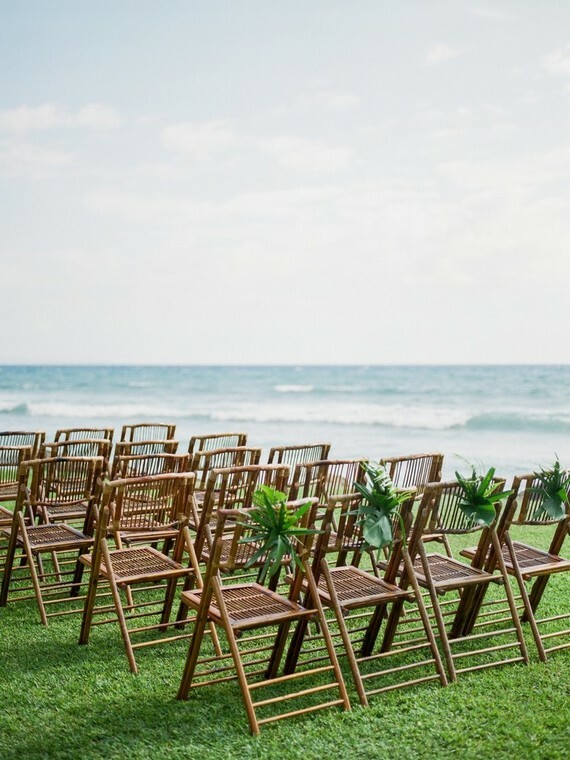 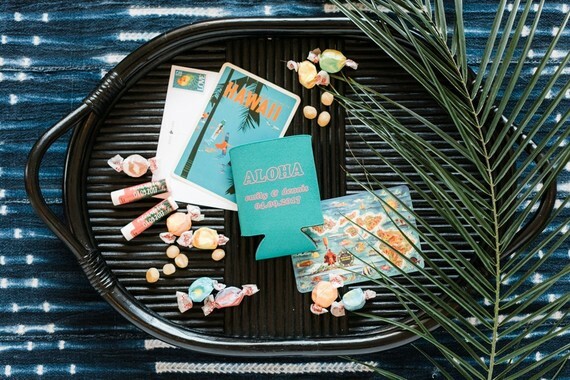 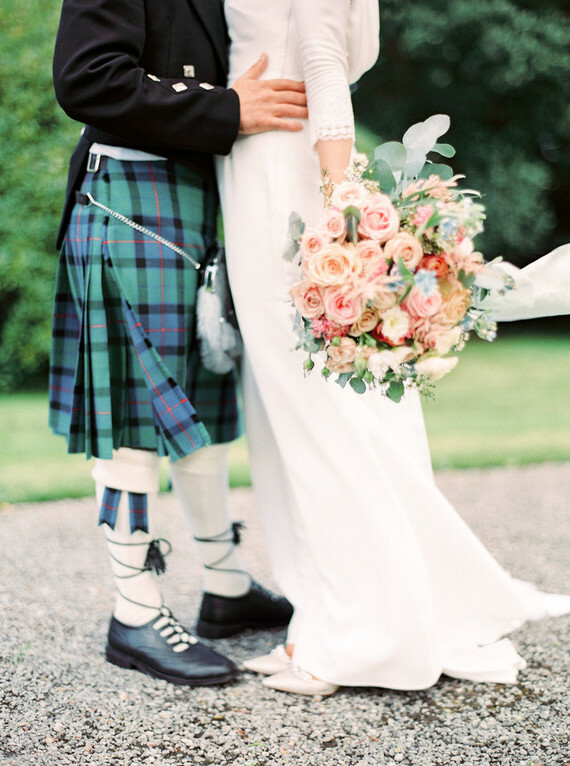 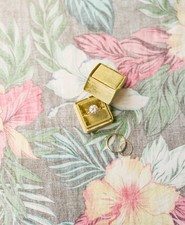 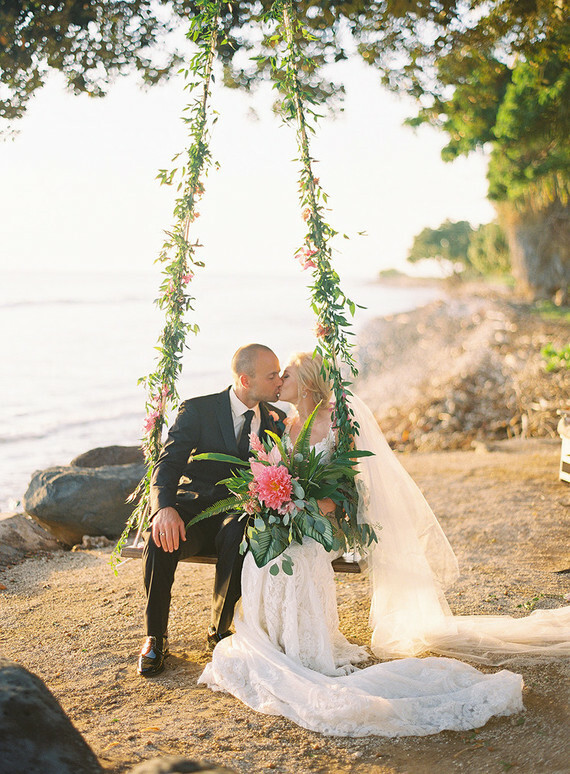 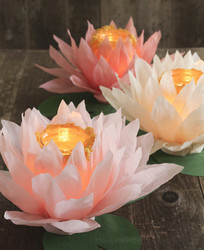 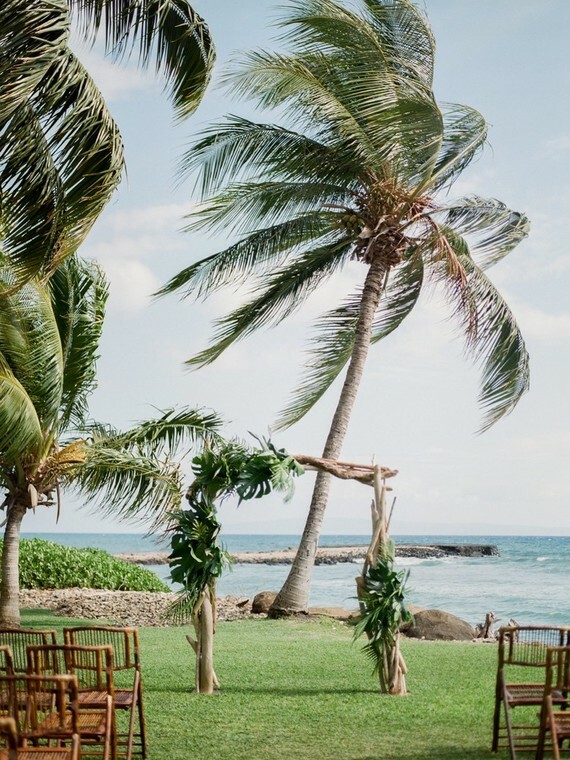 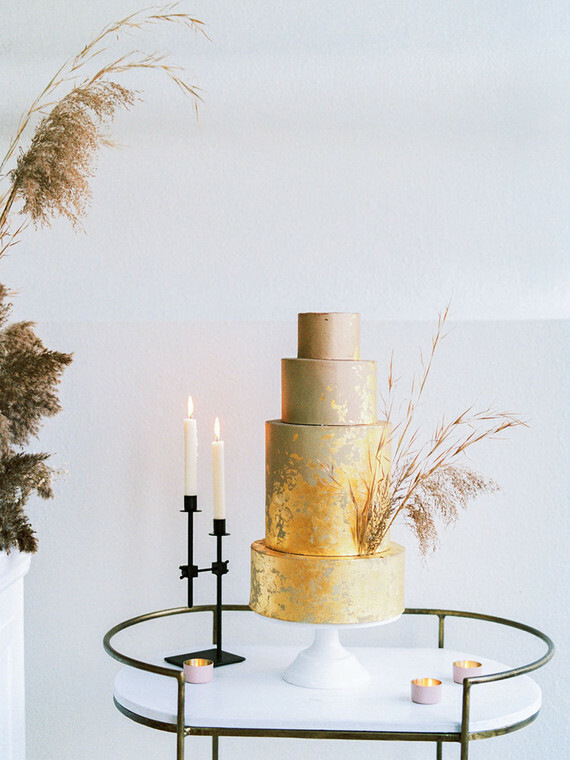 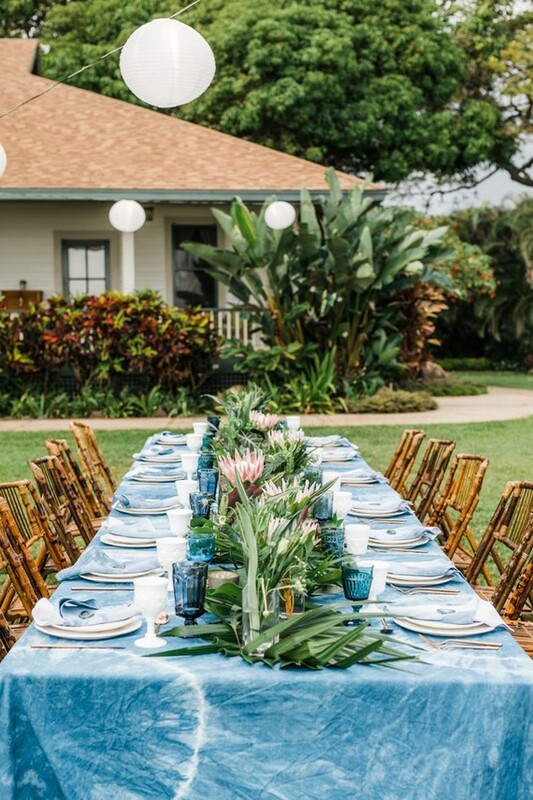 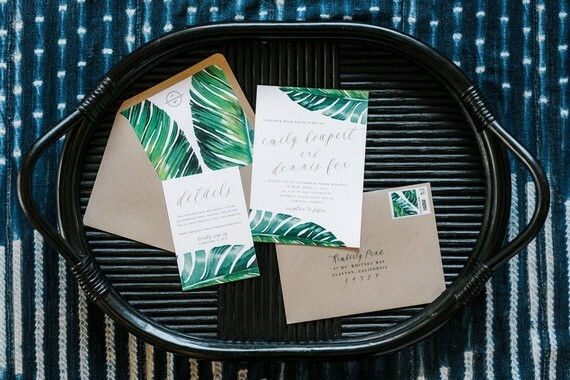 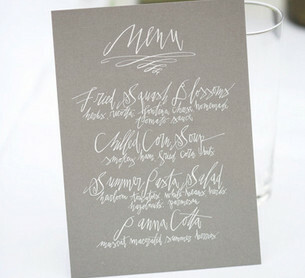 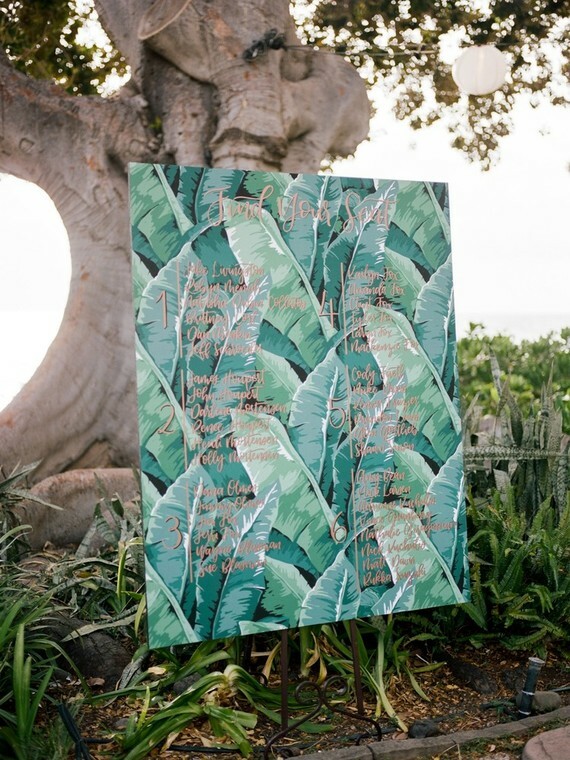 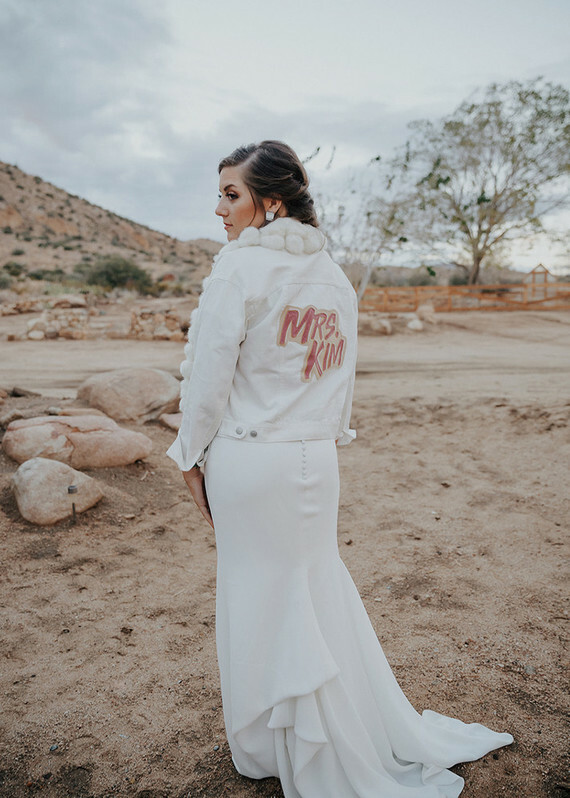 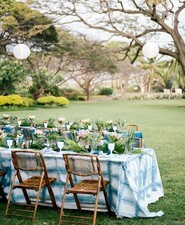 The overall vibe aimed for a bohemian, vintage Hawaiian wedding. 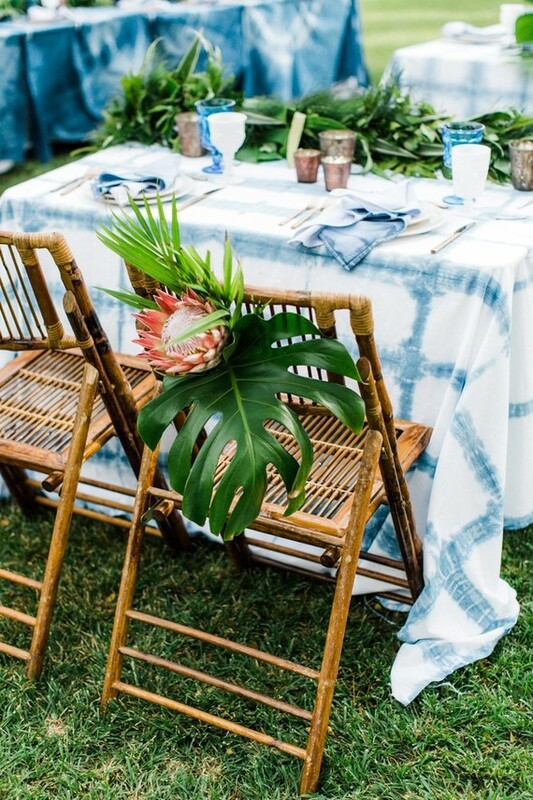 The custom indigo-dyed shibori linens from Warp & Weft set the tone for this unique and fun design. 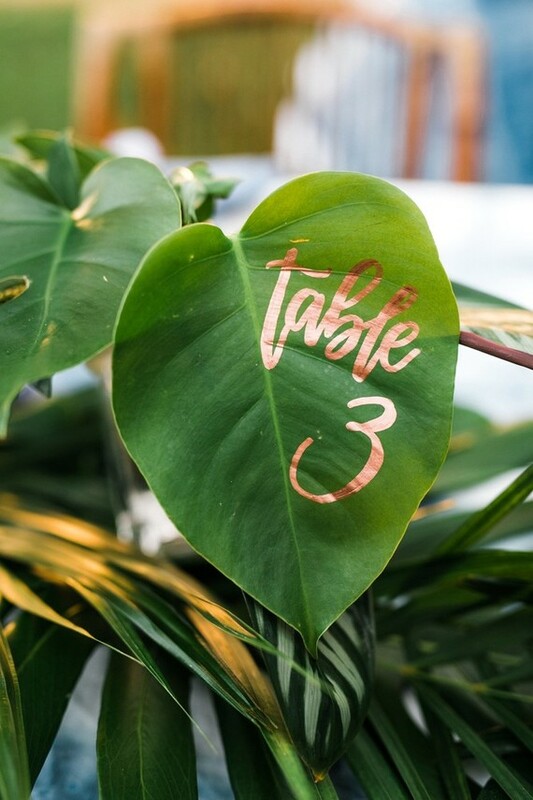 Simple tropical greenery runners adorned the center of the tables with king protea flowers scattered throughout by Mandy Grace Designsto exude an authentic tropical, jungle feel. 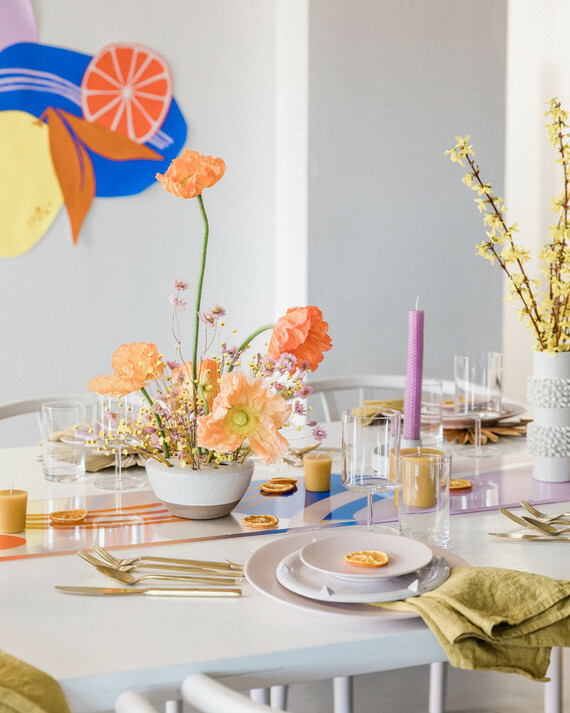 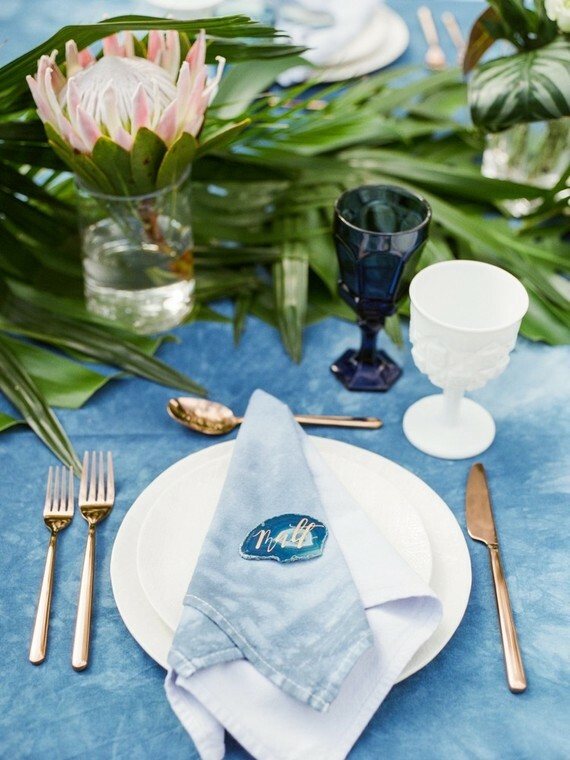 The place settings offered a more polished look, complete with simple but elegant white dishware, copper flatware, and vintage mismatched glassware in shades of indigo blue and opaque milk glass. 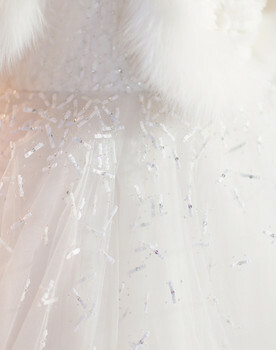 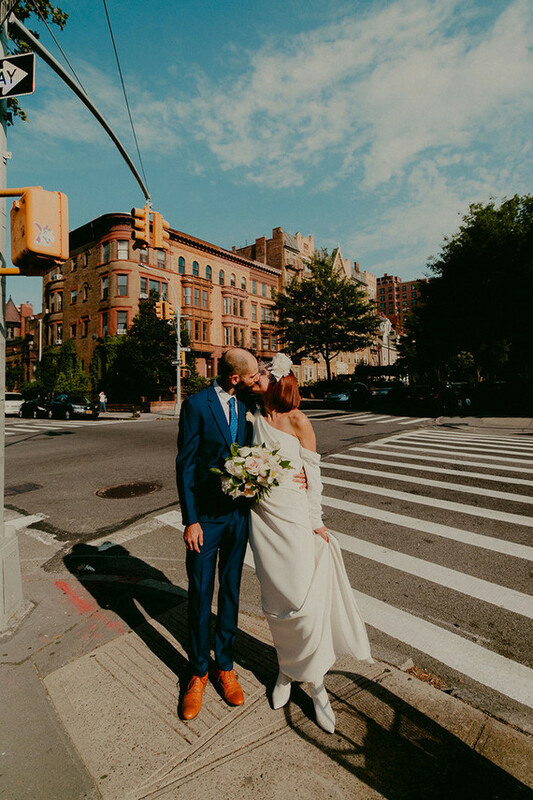 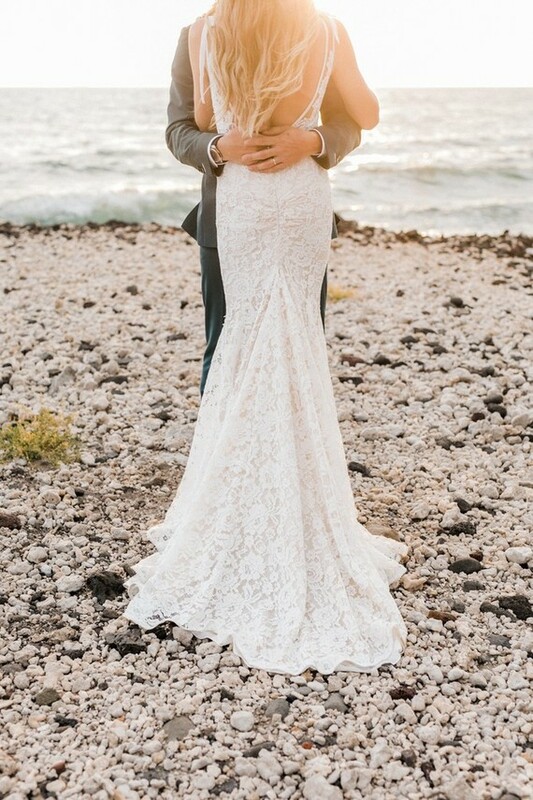 And the incredible dress below: It’s Inbal Dror with alterations by The Williamsburg Seamster.